When it comes to winter air in the Maineville, Morrow, Lebanon, Mason, or Cincinnati, Ohio area, it’s sometimes hard to tell what is less comfortable—the cold outdoor air or the painfully dry indoor air! Fortunately, installing a humidifier can help take care of most of these dry winter air woes. However, no matter how expertly installed and maintained your humidifier is, your equipment has a limited lifespan, and there will eventually come a time when you’ll require a replacement. That’s where the professional technicians at Rick’s Heating & Cooling come in! When you need a humidifier replacement in Ohio, we’re the only name you need to know. Not only can we provide HVAC estimates for your humidifier replacement, we can provide 24-hour emergency service seven days a week—because some things just can’t wait. If you need a humidifier replacement in Ohio, call us today to schedule your estimate! If you notice any of these warning signs, call Rick’s Heating & Cooling right away! We can come out and inspect your humidifier to determine if you need humidifier replacement or any other type of humidifier service. 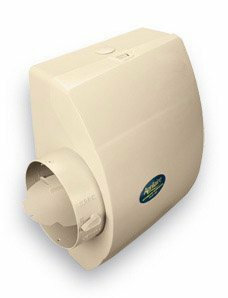 If you need humidifier replacement in Ohio to keep your Maineville, Morrow, Lebanon, Mason or Cincinnati home comfortable in the winter, call us today! Why call Rick’s Heating & Cooling for humidifier replacement? Rick’s Heating & Cooling has been providing HVAC service in the Maineville, Morrow, Lebanon, Mason, and Cincinnati, Ohio area since 1986. Our main goal is to provide dependable, professional service, and treat our customers with a level of respect they won’t find with other companies. We schedule all of our appointments within a two-hour window, and we’ll always call ahead so you won’t be left waiting around all day for a humidifier replacement technician. The next time you need humidifier replacement in Ohio from Maineville to Morrow and Lebanon to Mason or anywhere in between, don’t struggle to decide who you should call—make the right choice the first time by calling Rick’s Heating & Cooling for reliable HVAC services!